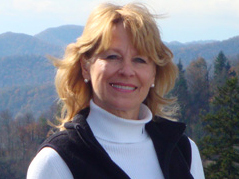 Patricia McCormack uses a variety of counseling techniques when assisting clients with their issues. For example, cognitive therapy, relaxation techniques, behavior modification, hypnotherapy and/or EMDR may be used with clients. Patricia McCormack works with children, adolescents, adults, individuals, couples and families. Patricia McCormack specializes in couples counseling for relationship issues, and individual counseling for issues involving depression, anxiety (including anxiety attacks and panic disorder), and PTSD, including abuse survival. She has extensive experience dealing with clients who have experienced physical and sexual abuse and has worked with individuals who have Dissociative Identity Disorder (previously: Multiple Personality Disorder). She has a smoking cessation program that includes hypnotherapy, cognitive therapy and behavior modification.